Purchased from a boutique. 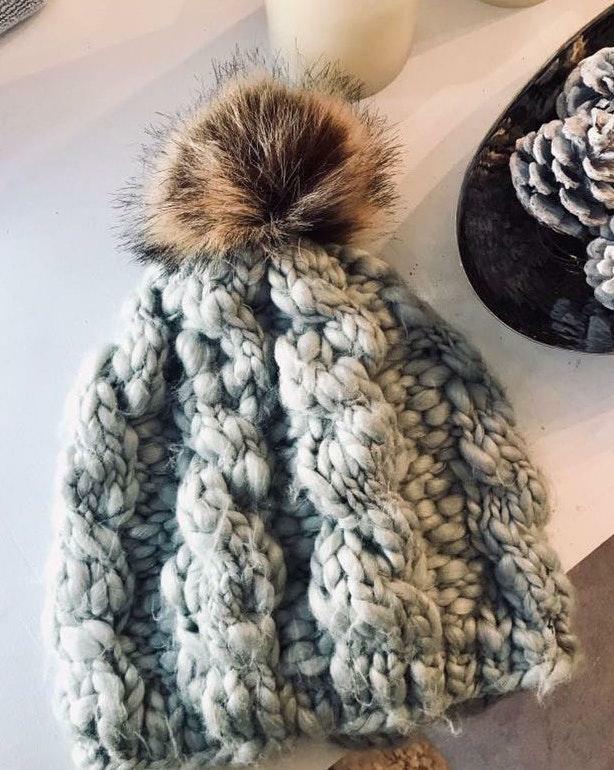 Chunky gray knit beanie with faux fur top. Never worn!